The term “smart home” was once used to refer to high-end homes – those with advanced entertainment systems and closed-circuit television cameras. These days, smart homes are a common thing. You may not know it, but smart features can increase your home’s selling price by 5%. Home appraisers factor in smart home features when valuing homes. Coldwell Banker Real Estate and Worthington Group recently partnered to create a top-notch smart home staging kit. The kit is available to home sellers who list their homes with Coldwell Banker. 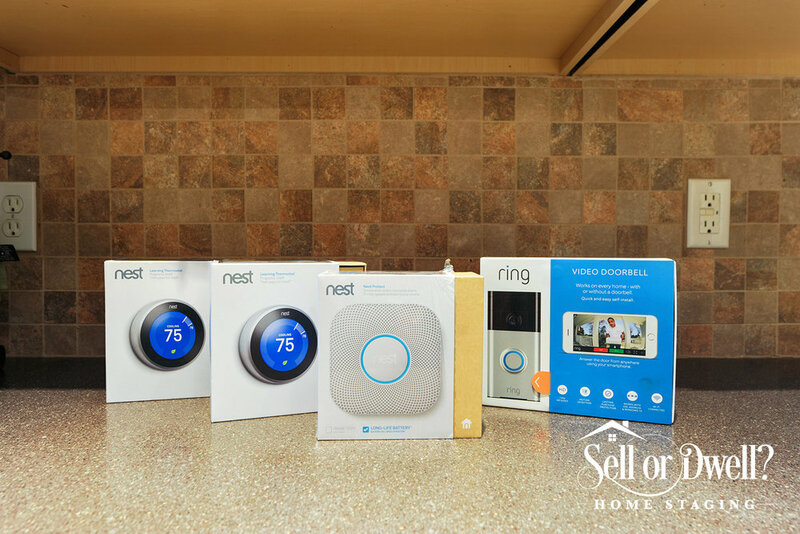 Sell or Dwell Realty can help you install the smart home staging kit and make your home smart-home certified. It contains things like the Nest learning thermostat, the August Smart Lock, and the Nest smoke alarm. 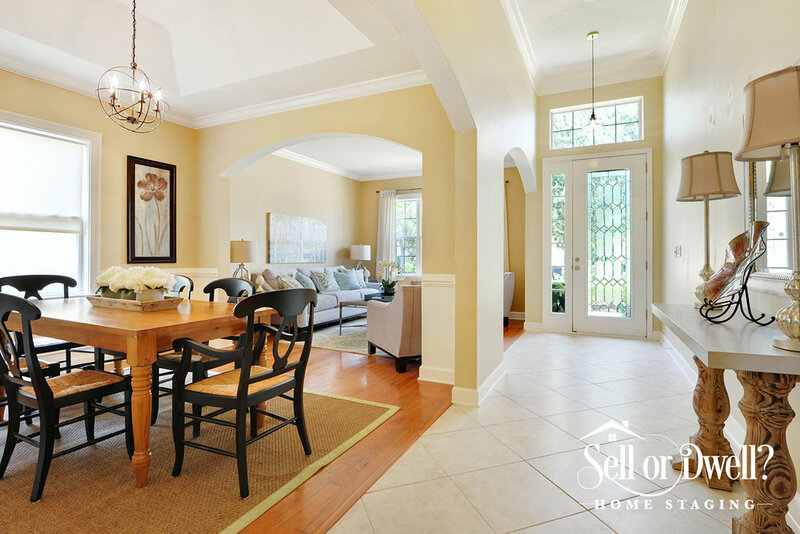 Here are some ways the smart home staging kit can help you. The Nest Learning Thermostat is the first thermostat to earn ENERGY STAR certification. It studies you and your home then programs itself accordingly. It learns your preferred temperatures, adjusts itself when you enter your home, and even controls your hot water. When you go outside, it turns itself down. The best thing about it is that you can connect it to Wi-Fi and control it with your laptop, tablet, or phone. When it comes to looks and options, this smoke detector is second to none. When it notices a problem, it emits a yellow ring of light. If the problem is significant, it produces a red ring of light. What is particularly interesting about it is it tells you what the problem is in a calm voice before it's alarm blares. When this cam detects any activity, it immediately sends a photo of the event to your phone or email. It's built-in speaker and microphone allow you to speak and get someone’s attention. The camera offers around-the-clock live streaming is designed to help you look after your home even when you are away. With this smart lock, you can lock and unlock your door, see guests and speak with them, and make virtual keys for your visitors. You can also control who goes into your home and for how long. Since the lock uses batteries, it’s always on. The August Connect is an add-on to the lock and allows you to control your door from anywhere. You can use your Android or iOS Smartphone to enter your home without using a key. The starter kit gives you the power to control your home’s lights and temperature from anywhere. It's switches and dimmers work well with different types of bulbs – including CFLs and LEDs. The kit brings the convenience of smart lighting to your fingertips. The smart home staging kit is part of Sell or Dwell’s premium listing package. If your home isn’t smart home certified, contact us. We’ll turn it into buyer bait with smart home features. You will love your smart home, but homebuyers will love it more as it will help them save both money and energy. When you make your home a Smart Home with Sell or Dwell you also get priority placement on certain websites that feature Smart Home technology. And remember, "When you list with me your staging is FREE!" So email us or call us today!